Generally speaking, both stainless steel and glass top gas stove have their pros and cons. Stainless steel is easy to maintain and more durable. But they lose their shine over time and they easily get scratches. In aesthetics part, they are not up to the mark. Glass top gas stove looks good but you need to be careful when choosing one. You should go with ones which are made of toughened glass. But when it is hot, don’t place something cold on it or wipe with water quickly. They are likely to crack. You need to be very careful. In case of spill, it is not easy to clean underneath the burners unless you have steel tops. But it is true that glass top stoves look more elegant and stylish than stainless steel ones. Glass top gas stoves need proper care when it comes to cleaning. Wait for all the burners to cool down. Spray some white vinegar and clean it down with dry cloth. It will help remove stains and grease. All in all, it needs extra care and some knowledge to make it work for you. Regular cleaning and proper cookware are needed if you want to have glass top gas stoves in your kitchen. On the other side, stainless steel gas stoves are pretty easier to clean. But they tend to lose their shine easily. You may go with glass top gas stoves for sleek design, aesthetic appeal and modern look. On the other side, stainless steel gas stoves are known to withstand smudge, heavy utensils, and stain-free look. It is cleared that there are only few brands in the market which offers gas stoves that comply with safety standards, efficient to cook food, and offer good value on investment. Stainless steel gas stoves usually come with manual ignition. It means you have to use lighter or matches to turn on the heat. 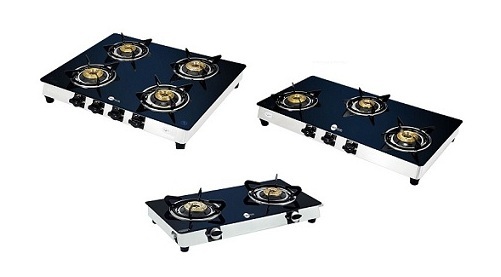 On the other side, glass top gas stoves come with manual or automatic ignition. The best part of automatic ignition is that you don’t have to use lighter or matches. It is very convenient as you just have to turn on the knob. However, getting it repaired is not easy once it breaks down. So, most households prefer manual ignition. There are radiant and halogen burners on the glass cooktop stoves that can heat within seconds, unlike the swirly and traditional electrical burners which take at least a minute to start glowing. In the glass top gas stoves, the sealed element also cools down in few seconds of turning off. So, it adds another layer of safety, especially when you have children around. Hence, they are far less likely to burn in case you touch them accidently. The heat control is also very precise in glass top gas stoves. Whether you choose stainless steel or glass top gas stove, it is clear that they both need PNG/LPG connection. But they have their own perks. If your passion is cooking food and you love to try different dishes by learning from recipe books, it is always wise to choose a gas stove rather than an induction cooktop as it has better control on preparing dish thanks to the rotary knob to control the amount of flame on the dish. 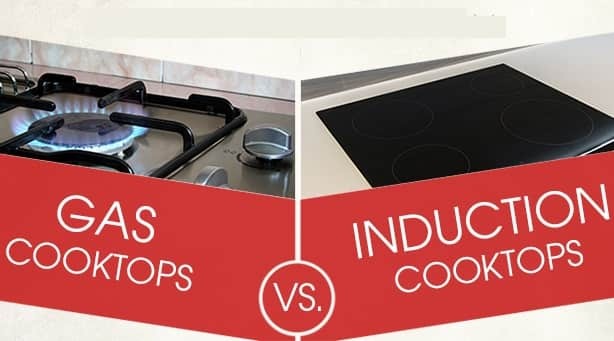 Precision cooking is not easy in induction cooktop to achieve the desired temperature. Induction cooktop is good only when you have to travel a lot and you shift frequently in every few years. It is because you don’t need LPG connection except for power source.